Parents, and the relentless pursuit of athletic scholarships, can cause a difficult environment for high-school coaches to survive in. And many have decided it’s not worth the effort. But in a crowded conference room on a sweltering July afternoon in Yakima, no one attending a clinic seemed to care about that. They wanted to know only one thing from the Edmonds Community College men’s basketball coach: How do you deal with parents? • In August, the parents of Los Altos (Calif.) High senior Robbie Lopez filed suit against his baseball coach for being repeatedly benched during games. • In April, Kristen McDonnell, a high-school girls basketball coach in Braintree, Mass., resigned after eight years “with a very heavy heart” after citing troubles with parents despite a recent 63-game win streak (she returned in July). 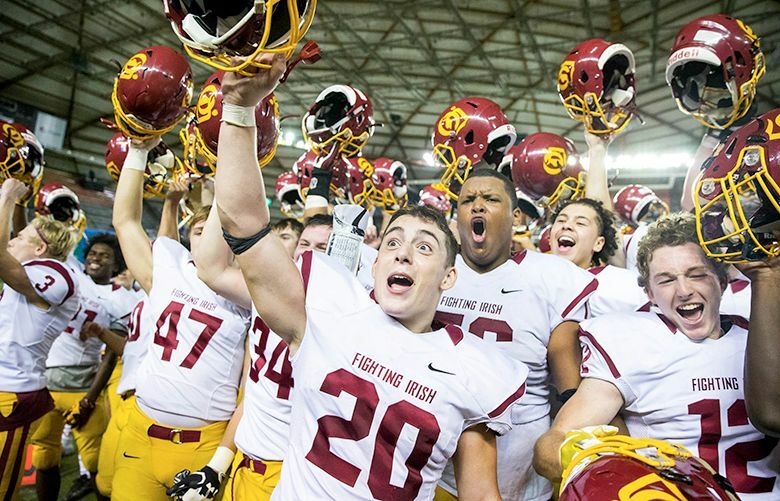 • And last year, parents from five Cascade Conference schools influenced their football coaches to forfeit games against Archbishop Murphy due to safety concerns, putting the Everett private school in the national spotlight. “It can be a mine field for coaches,” said Gray, who has 14 years of experience coaching girls and boys sports on all levels. The July gathering in Yakima was Gray’s first clinic on helping peers manage the parent-coach relationship as part of the Washington Interscholastic Activities Association’s Coaches School. 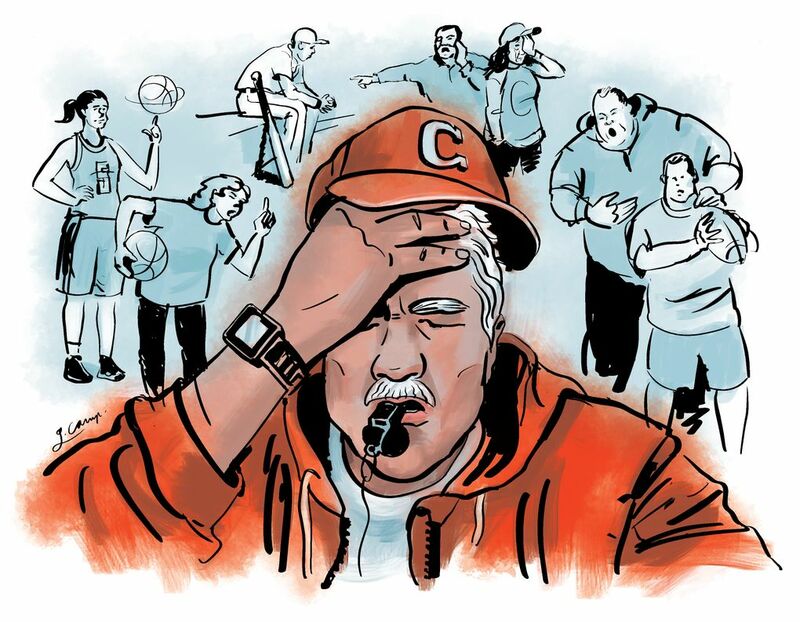 More than player talent and facilities, parents and their behavior toward coaches might be the biggest factor in the success of a high-school sports programs, according to those interviewed for this story. And what’s driving this divide between parents and coaches? Many say it’s the push to land athletic scholarships. “I know so many coaches who have just stopped coaching because of the parents,” Gray said. “And parents who get upset with coaches, pull their kid and go somewhere else. Darren McKay is the football coach at Todd Beamer in Federal Way because of his worst encounter with parents. In 2012 while coaching at Gig Harbor, the school administration used results of an anonymous online survey of parents as reason to require McKay to fire two members of his staff. When he refused, McKay was fired despite compiling a 77-41 record in 12 years and building the program into a consistent playoff team. McKay filed a grievance and more than a hundred showed up to a school-board meeting on his behalf. “They stopped using the survey,” McKay quipped. Lake Stevens softball coach Sarah Hirsch said trial and error is how she learned where to set boundaries with parents. As a rookie coach, she remembered parents wanting to debate playing time and in-game decisions after losses. Hirsch, who has coached the Vikings the past five seasons, set a 48-hour rule before talking about games with parents. She doesn’t give out her personal phone number, instead using an app for group notices, and uses only her school-issued email account when communicating with parents. Now, fundraising is the only vexing part of coaching. Hirsch is preparing for the 2018 season, before which she’ll hold one preseason meeting with parents to discuss the communication rules, playing schedule and fundraiser. When McKay accepted the position at Todd Beamer, he changed his policy about what he will discuss in private meetings with parents. They usually questioned playing time for their son. McKay now requires the player to be in the meeting with their parent(s) and be prepared to hear the truth about why they’re not on the field. Dave Morehouse, who retired after 30 years as the volleyball coach at Shorecrest, said gender also plays a role in how parents react to coaches. He also coaches for an elite volleyball academy. McKay has started to notice a trend from meetings with parents. Private training for football is becoming more popular, similar to AAU basketball and club softball or volleyball. And football 7-on-7 tournaments are billed as places to be spotted by college scouts, meaning parents are more influenced by those offseason trainers. Mike Hayward sounds like an investment banker when he talks about high-school sports. Annuity, ROI, profiteering — terms you don’t expect when talking about kids. But to Hayward, a former University of Washington basketball standout, sports have transitioned to dollars and cents. Married to former UW volleyball star Laurie Wetzel, the couple estimates they’ve spent a combined $50,000 on their two daughters’ participation in club volleyball, softball and soccer. The eldest, Sam, nabbed an athletic scholarship and is a freshman on Nevada’s volleyball team. Younger sister Natalie recently signed to play at DePaul. The financial aid is that golden ticket that creates the biggest conflict between parents and coaches. A quality coach is likely still trying to teach life lessons and win high-school games. Most modern-day parents and players, however, want exposure in hopes of getting a college scholarship, especially with the average cost of tuition being $10,000 annually for a state resident at a public school. According to information provided to Time magazine by WinterGreen Research, youth-sports is a $15.3 billion business and the industry has grown by 55 percent since 2010. Parents are paying for private pitching coaches or “shot doctors” in hopes of a scholarship. Kids are transferring to programs known for getting players scholarships. And the high-school coaches are scrutinized if parents don’t see results. According to numbers from the National Federation of High Schools, Just 2 percent of the 430,368 high-school girls in the United States who played basketball last year went on to play in college. Only 1 percent of football players earned a scholarship. It’s difficult for parents to accept their kid isn’t part of that 2 percent. And the more you hear about an underdog story, the more financial gamble a family is likely to take. 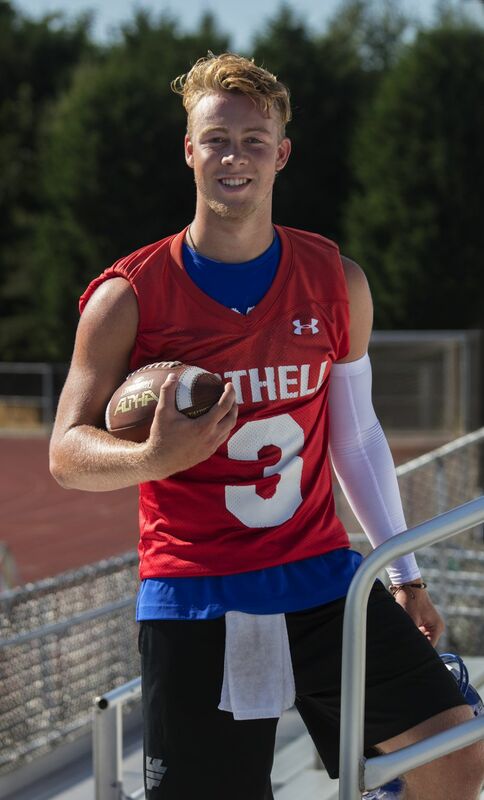 “I feel bad for all of these families chasing these camps,” said David Sirmon, whose eldest son Jacob was the starting quarterback for Bothell. Jacob is a University of Washington commit, whose parents paid for private sessions with quarterback coaches the past two offseasons. Gray said it’s parents’ attachment to watching their child compete over the years that can cloud judgment once the level of competition is raised on the high-school level. Pam Thorsen’s son Ryan was a member of Skyline’s first state football championship team in 2000. When he graduated, Pam and her husband Steve wanted to stay involved. At the direction of then-coach Steve Gervais, they founded the Gridiron Club in 2001. The nonprofit organization has an alumni-only board that coordinates volunteers to fill in gaps the school district or student body can’t. Donations paid for the Spartans’ emblem at the 50-yard line, player-only T-shirts and an estimated $30,000 in college scholarship money through the years. Parents work the sideline chain gang during games, update team websites, are game announcers and cater the Thursday dinner for the team. Thorsen also hosts an incoming-freshman meeting with Skyline coach Mat Taylor, parents and players so they can learn about the program and how to be involved. Thorsen has found many parents like her simply want to be involved in their kid’s experience and need direction. Gray, meanwhile, advises coaches to have a plan for the program that’s shared with parents and the team, delegate responsibilities, set boundaries on what can be discussed and, most of all, never ignore a parent. John O’Sullivan, founder of Changing the Game Project, also stresses trust and communication. His company offers blogs, speakers, books and podcasts to help teach parents how to raise athletic kids. O’Sullivan said he’d like to put himself out of business because adults have finally realized they want the player to succeed. But most parents will never stop being protective of their children.